I wanted to save money for my children & my future, and didn't wanted to pay rent all my life. 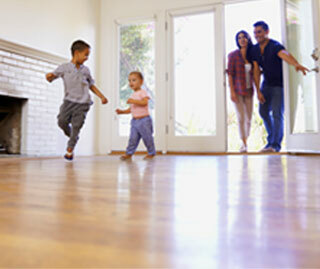 Owning a house is like an achievement, made possible by Reliance Home Finance. Their services impressed me. They were highly responsive and understood my requirement.Their services impressed me. They were highly responsive and understood my requirement. The rented place was too small for my family, especially for my son. So I wanted a bigger house of my own. Moreover, now no one knocks at my door on the 30th of every month, asking for rent. My friend recommended Reliance Home Finance and I can't thank him enough for his suggestion. I wanted a bigger space for my growing business. The whole process of application was quick with guidance from the sales manager. Thank you Reliance Home Finance for the faster approval and exceptional assistance.